Pragmatic ethics is a theory of normative philosophical ethics. 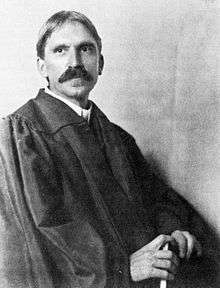 Ethical pragmatists, such as John Dewey, believe that some societies have progressed morally in much the way they have attained progress in science. Scientists can pursue inquiry into the truth of a hypothesis and accept the hypothesis, in the sense that they act as though the hypothesis were true; nonetheless, they think that future generations can advance science, and thus future generations can refine or replace (at least some of) their accepted hypotheses. Similarly, ethical pragmatists think that norms, principles, and moral criteria are likely to be improved as a result of inquiry. Much as it is appropriate for scientists to act as though a hypothesis were true despite expecting future inquiry to supplant it, ethical pragmatists acknowledge that it can be appropriate to practice a variety of other normative approaches (e.g. consequentialism, deontological ethics, and virtue ethics), yet acknowledge the need for mechanisms which allow society to advance beyond such approaches, a freedom for discourse which does not take any such theory as assumed. Thus, aimed at social innovation, the practice of pragmatic ethics supplements the practice of other normative approaches with what John Stuart Mill called "experiments of living". It does not hold any known moral criteria as beyond potential for revision. Pragmatic ethics may be misunderstood as relativist, as failing to be objective, but that is like suggesting that science fails to be objective. Ethical pragmatists, like scientists, can maintain that their endeavor is objective on the grounds that it converges towards something objective. It allows that a moral judgment may be appropriate in one age of a given society, even though it will cease to be appropriate after that society progresses (or may already be inappropriate in another society). For example, the writings of Thomas Jefferson on slavery framed slavery as ultimately immoral, yet temporarily moral until America was ready for abolition. Establishing that this normative theory entails pragmatism (or vice versa) remains an open challenge. The Blackwell Guide to Ethical Theory refers to this theory as pragmatic and finds it in the writings of John Dewey (a pragmatist). However, it also finds key concepts in the writings of John Stuart Mill and Martha Nussbaum, and we can see at least some of its distinguishing characteristics in the concept of social gadfly attributed to Socrates in Plato's Apology. Pragmatic ethics has been criticized as conflating descriptive ethics with normative ethics, as describing the way people do make moral judgments rather than the way they should make them. While some ethical pragmatists may have questioned the distinction between normative and descriptive truth, the theory of pragmatic ethics itself does not conflate them any more than science conflates truth about its subject matter with current opinion about it. 1 2 Liszka, James. "What Is Pragmatic Ethics?". Retrieved 2011-07-01. ↑ Almeder, R. (1983). "Scientific Progress and Peircean Utopian Realism". Erkenntnis (20): 253–280. ↑ Bateman, Newton; Paul Selby; Frances M. Shonkwiler; Henry L Fowkes (1908). Historical Encyclopedia of Illinois. Chicago, IL: Munsell Publishing Company. p. 259. ↑ "Tim Dean, Evolution & Moral Ecology". Philo Agora. Retrieved 2012-06-27. ↑ Dean, T. (2012). "Evolution and Moral Diversity". The Baltic International Yearbook of Cognition, Logic and Communication. 7. doi:10.4148/biyclc.v7i0.1775. Dewey, John (1922). Human Nature and Conduct. New York: Henry Holt and Company. ISBN 978-0-486-42097-4. Hertzke, Allen D.; McRorie, Chris (1998). "The Concept of Moral Ecology". In Lawler, Peter Augustine; McConkey, Dale. Community and Political Thought Today. Westort, CT: Praeger. LaFollette, Hugh (2000). "Pragmatic ethics". In LaFollette, Hugh. The Blackwell Guide to Ethical Theory. Wiley-Blackwell. pp. 400–419. Mill, John Stuart (1863). On Liberty. Boston: Ticknor and Fields. ISBN 0-486-42130-9. Dewey, John (1988) . Human Nature and Conduct. Southern Illinois University Press. Dewey, John (1985) . Ethics. Southern Illinois University Press. Dewey, John (1970) . Reconstruction in Philosophy. Henry Holt. Gibbard, Allan (2009). "7 A pragmatic justification of morality". In Voorhoeve, Alex. Conversations on ethics. Oxford University Press. pp. 157–178. ISBN 978-0-19-921537-9. Margolis, J. (1986) Pragmatism without Foundations: Reconciling Realism and Relativism. Oxford, OX, UK ; New York: Blackwell Publishers.